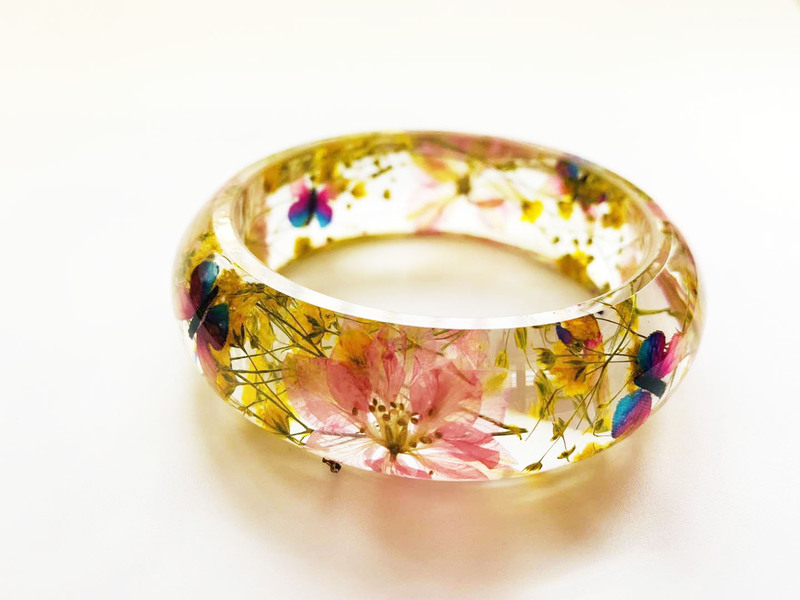 This mesmerizing Flower Resin Bracelet captures the archetype of natures beauty and adds a vintage flair to your look. Natural and organic handpicked leaves and flowers are carefully pressed and preserved in a beautiful clear resin glass. Enjoy the beauty of a flower anytime! This small oval bangle is a pretty crystal clear color accented with purple flowers. The purple color is flattering on many skin tones and is the perfect accessory. The sides are shiny and the top and bottom have been sanded. Looks great on its own or stacked with other bangles.